If you have even a cursory awareness of esports, you’ve almost certainly heard of Lee Sang-hyeok, aka Faker. Blending sublime skill and unpredictability, he’s perhaps the best League of Legends player on earth, and definitely among the most exciting. Today, he finally started streaming on Twitch, quickly shattering viewership records despite a stream that was, uh, rough. Faker’s stream peaked at over 245,000 concurrent viewers, making it the most-watched stream hosted by an individual in Twitch history, according to PVP Live. It was a long time coming. Faker used to have a deal with Korean streaming platform Azubu that granted them exclusive rights to his matches. At one point another streamer found a loophole and started streaming Faker’s solo-queue matches without anybody’s permission, which royally pissed off Azubu, Riot, and SK Telecom (the team Faker’s on), so needless to say, Faker’s streams have been a point of contention over the years. That, in part, explains why his first-ever Twitch stream attracted such a colossal horde of viewers. 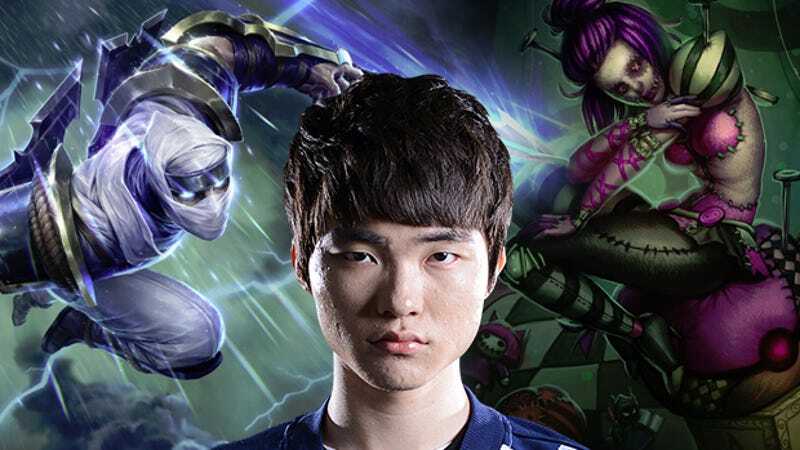 Faker is a huge name, and people have been waiting for this day. Disciples showed up in droves because their “god” is finally free. The stream itself, however, was awkward. It was plagued by lag and volume issues, and even elements of it that seemed promising—for instance, a live translator so English-speaking viewers could also understand what Faker was saying—didn’t really pan out. The translator went MIA, and Faker, true to his notoriously stoic demeanor, didn’t say much at all over the course of more than two hours. To be fair, Faker’s quiet confidence has always been part of his appeal. In a game where others trash talk (and some pros get suspended for toxic chat during the biggest damn event of the year), Faker stands apart. But will that aid him here, or has he finally met his match in the form of the most dreaded foe any introvert can face: public speaking?